Explanation: Why would Saturn show such strange colors? The robotic Cassini spacecraft currently orbiting Saturn has beamed back images showing that the northern hemisphere our Solar System's most spectacularly ringed planet has changed noticeably since Cassini arrived in 2004, now sporting unusual and unexpected colors. No one is sure why. 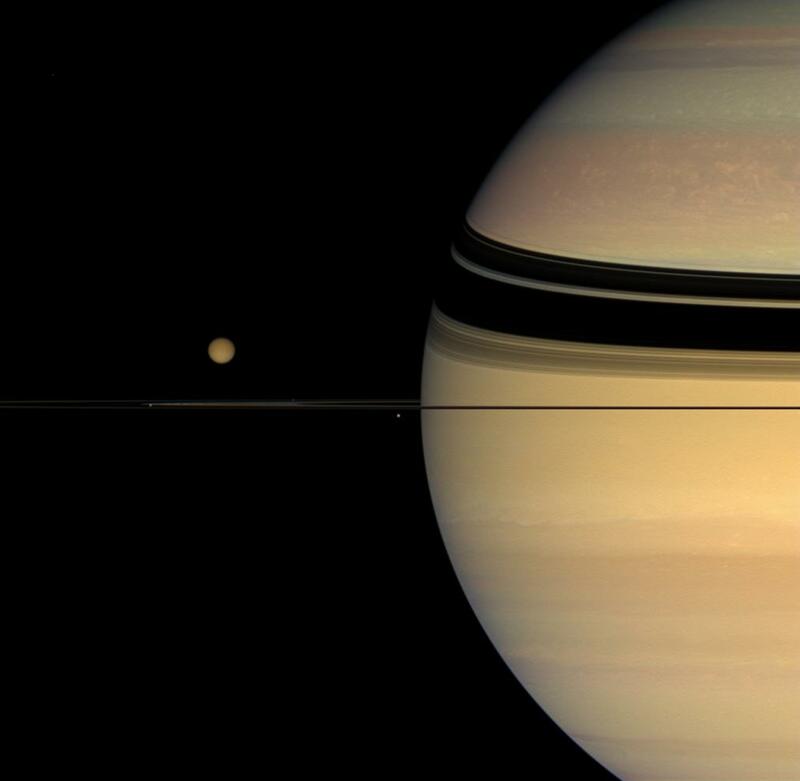 Although the cause for many of Saturn's colors is unknown, the recent change in colors is thought to be related to the changing seasons. Pictured above, the unusual colors are visible just north of the dark ring shadows. The razor-thin plane of ring particles is visible nearly edge-on across the bottom of the image. 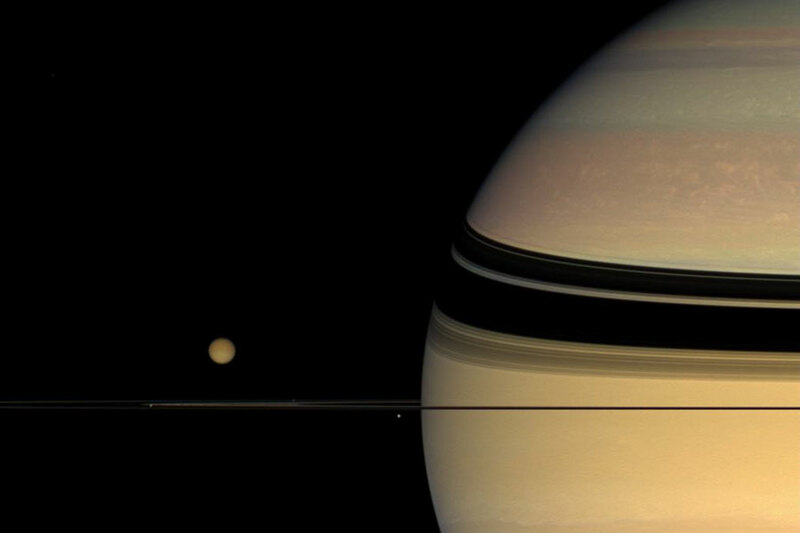 The cloudy moon Titan looms large just above the rings, while close observation will reveal three other moons. Cassini arrived at Saturn in 2004, sending back data and images that have not only led to a deeper understanding of the Jovian world's atmosphere, moons, and rings, but also raised new mysteries.